Offering programs focused on prevention and wellness, including innovative and effective opportunities for seniors to get active. Colonie Senior Service Centers is fortunate to have many strong community relationships that help bring our programs to more seniors in more locations. We currently have sixteen Healthy Bones for Life classes, which are conducted by trained volunteers throughout Albany, Rensselaer and Schenectady counties. We also offer a variety of classes at The Beltrone Living Center, which include yoga, balance, arthritis, dance classes and more! All Health and Wellness programs promote an active lifestyle to help seniors stay healthy, active and independent. 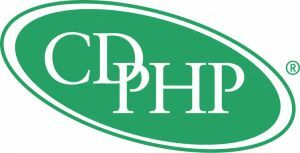 In 2012, we launched an initiative with the CDPHP Senior Fit program, connecting eligible seniors with free CSSC Health and Wellness Classes and a no-cost membership to the Rudy A. Ciccotti Family Recreation Center. By the end of 2017, approximately 30,000 seniors took advantage of this program. For all of our Health and Wellness programs, we recruit volunteers from the community to maximize staff effectiveness. We continue to develop community partnerships to enable us to provide more programs in underserved neighborhoods. For more information on Health and Wellness classes and activities, call Marisa Geraghty, RSVP and Volunteer Director, at 518-459-2857 ext. 308 or mgeraghty@colonieseniors.org.